Residents of states with high income taxes sometimes relocate to a state with a more favorable tax climate. A similar strategy can be available for trusts. If a trust is subject to high state income taxes, you may be able to change its residence — or “situs” — to a state with low or no income taxes. What Can a “Trust-Friendly” State Offer? An unexpected outcome of the recent death of designer Karl Lagerfeld is that the topic of estate planning for pets has been highlighted. Lagerfeld’s beloved cat, Choupette, played a major role in his brand. The feline was the subject of a coffee table book and has a large Instagram following. Before his death, Lagerfeld publicly expressed his wishes to have his ashes, and those of his cat if she had died before him, to be scattered with those of his mother’s. It’s unknown if Lagerfeld accounted for his beloved Choupette in his estate plan, but one vehicle he could have used to do so is a pet trust. 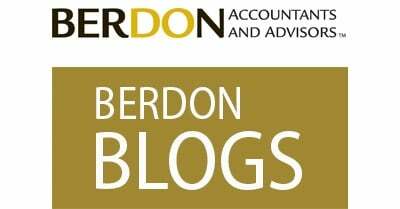 T&E TALK: Have you Properly Substantiated Your 2018 Charitable Gifts? Also, if you make gifts of future interests in trust, even if they’re less than the annual exclusion amount, a gift tax return is required. Finally, if you split gifts with your spouse, regardless of amount, you must file a gift tax return. An effective estate planning strategy for you is likely the one that will produce the greatest tax savings for your family. Unfortunately, there can be tension between strategies that save estate tax and ones that save income tax. This is especially true now that the Tax Cuts and Jobs Act nearly doubled the gift and estate tax exemption — but only temporarily. Through 2025, income tax might be a greater concern, but, after that, estate taxes might be a bigger issue. Generally, the best way to minimize estate taxes is to remove assets from your estate as early as possible (through outright gifts or gifts in trust) so that all future appreciation in value escapes estate tax. But these lifetime gifts can increase income taxes for the recipients of appreciated assets. That’s because assets you transfer by gift retain your tax basis, potentially resulting in a significant capital gains tax bill should your beneficiaries sell them. What if the unthinkable happens and your spouse dies unexpectedly? Would you be prepared to cope emotionally and financially? As the surviving spouse, you’ll face some important tasks and challenges. Death Certificates. One of the first things to do is obtain death certificates, which you’ll need to provide for various dealings with financial institutions and others. While it may be difficult to estimate how many death certificates will ultimately be requested of you, you’ll probably want to start with at least a dozen. Notifications. You must get the word out to other interested parties, including your spouse’s employer, if applicable; credit card companies; life insurance companies; retirement plan and IRA administrators; the state motor vehicle agency; the state office for inheritance tax, if applicable; and your attorney.